The ICC Cricket World Cup 2019 is just a few months away, and all the teams are carrying out the final remaining touch ups to their respective squads. The'Men in Blue' are the hands-down favorites, alongside England, to take the coveted trophy home. The recently concluded India versus Australia ODI series didn't provide the fruitful results that many Indian fans would've hoped for. While the series loss is not something many should worry about, the fact that the World Cup hopefuls haven't been able to confirm their seats on the plane to England is a bigger matter of concern. While the Indian captain Virat Kohli ruled out basing World Cup selections on IPL performances, it seems likely that IPL will once again prove to be the measuring rod for the World Cup spots. With a strong top order and a highly successful bowling department, all eyes would be on who all make it to India's wobbly middle-order. Cricketing pundits all over the world have weighed in with their choices, with Ricky Ponting name-dropping Shreyas Iyer as a probable pick. In the past few years, India has tried a number of batsmen for the No.4 position, but that slot still hasn't been locked in. Ambati Rayudu seemed to be the answer to the No.4 conundrum, but his recent performance against Australia has once again opened the discussion. Rayudu looked helpless against Pat Cummins and had no answers to Adam Zampa's variations. 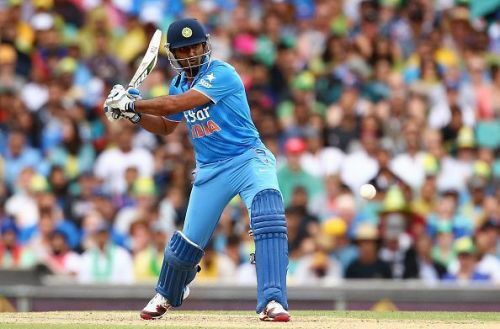 With the World Cup drawing near, the Indian selectors might just have to look beyond Rayudu. 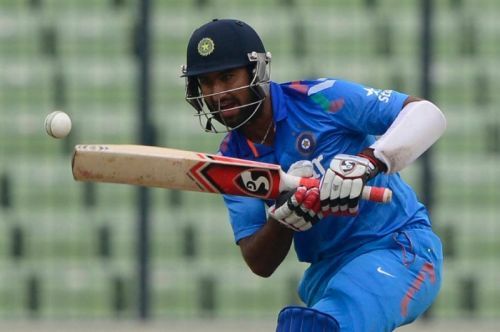 In this list, we will be running down the potential options that the Indian selectors could look into for the much-talked-about No.4 batting position. Some of these options might appear unconventional, given how the modern game keeps on evolving, but sometimes in life, one has to look beyond the usual to make some big gains. In a recent interview with India TV, the former Indian captain Sourav Ganguly, had quite a unique name to offer while discussing the probable options for the No.4 position for the upcoming World Cup. The name that he suggested was none other than Cheteshwar Pujara, India's resident No.3 in the Test match set-up. Comparing Pujara to the likes of Rahul Dravid, Ganguly argued that Pujara's inclusion would bring solidity to the foundations of India's batting line-up. Having played only five ODI matches in his career, with the last one having been played in 2014, it seems a long-shot option that selectors would even consider Pujara for the position. But, let's just not ridicule this option for right now. There is no one more dependable than Pujara as far as the Test set-up is concerned, having scored 5,426 runs from just 114 innings, at an average of over 51. The Indian team lacks a solid middle-order, which could prove to be fatal at the World Cup, and Pujara might just be the man to end India's long struggle. While Ganguly admitted that he could be a liability with regards to fielding, he believed that Pujara's technical prowess is head and shoulders above the rest. Pujara might be an out-of-the-box solution, but given his ability to play long innings, he might just be the diamond that India is looking for. ICC World Cup 2019: Who will be India’s 3rd opener? ICC World Cup 2019: Is it fair to consider the performances of Indian players in IPL 2019 for World Cup selection?